The Goliath beetles (named after the biblical giant Goliath) are any of the five species in the genus Goliathus. Goliath beetles are among the largest insects on Earth, if measured in terms of size, bulk and weight. Goliath beetles measure from 60–110 millimetres (2.4–4.3 in) for males and 50–80 millimetres (2.0–3.1 in) for females, as adults, and can reach weights of up to 80–100 grams (2.8–3.5 oz) in the larval stage, though the adults are only about half this weight. The females range from a dark brown to silky white, but the males are normally brown/white/black or black/white. 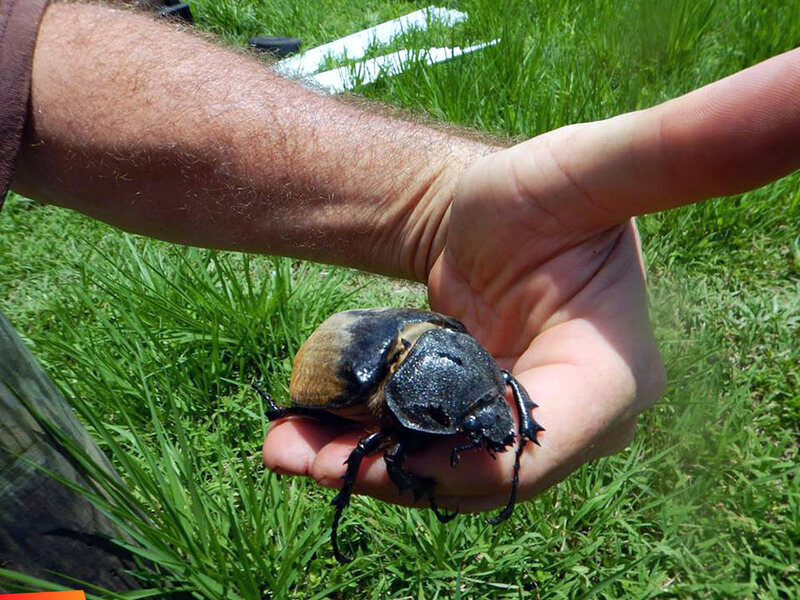 Goliath beetles can be found in many tropical forests, where they feed primarily on tree sap and fruit.